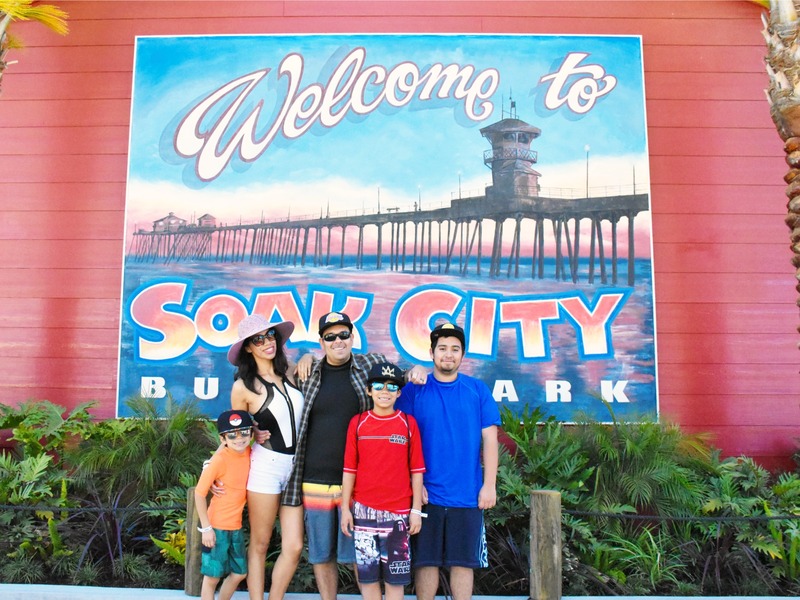 We visited Knott’s Soak City on opening day, thankful for a day of sunshine that allowed us to hang out at the waterpark stress-free until closing time. 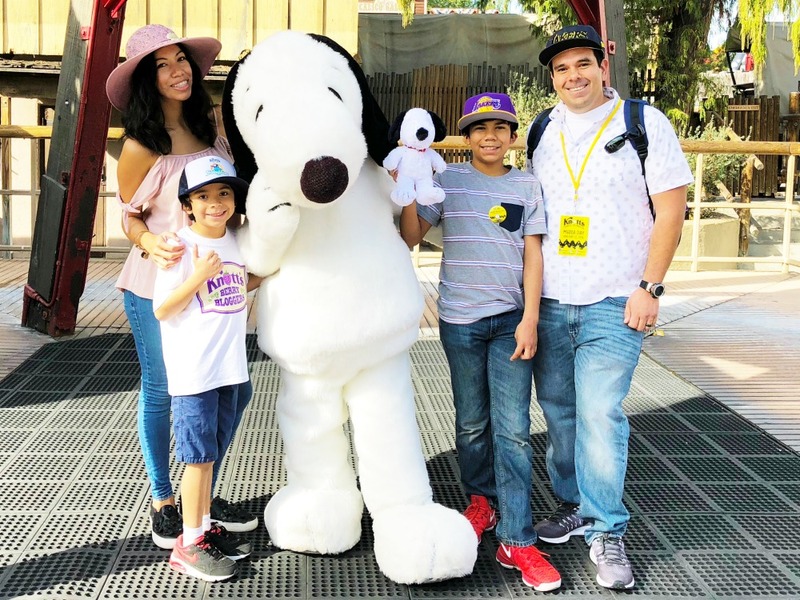 It was such a great experience that we put together this Knott’s Soak City Destination Guide to make your visit easy, as it was for us. 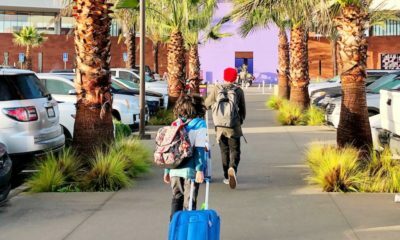 We arrived at the waterpark early. Super early. That’s probably my number one tip because Soak City is very popular in the summer so it gets really packed. Our family has two younger chiclets (ages 9 and 6) so we skipped the more kiddie area (Gremmie Lagoon) and instead opted for the new rides! 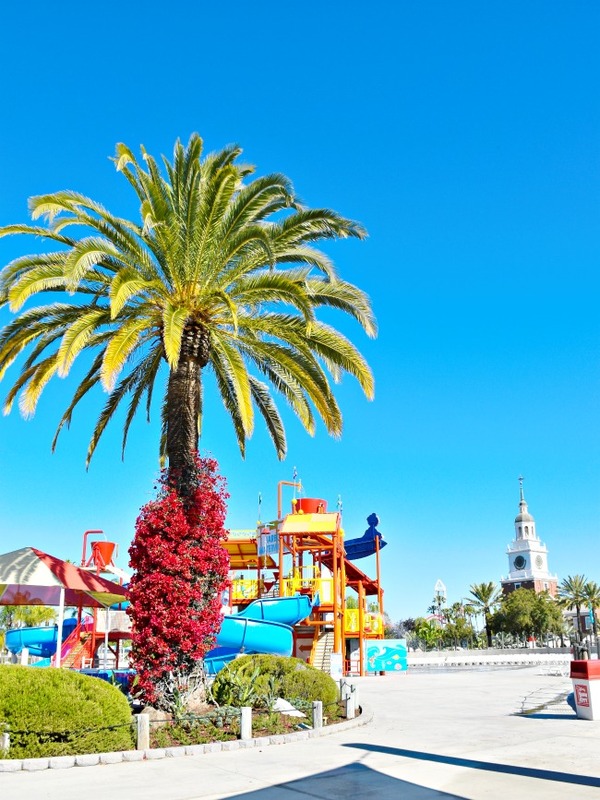 Yup… this season, Knott’s Soak City expanded their awesome waterpark. 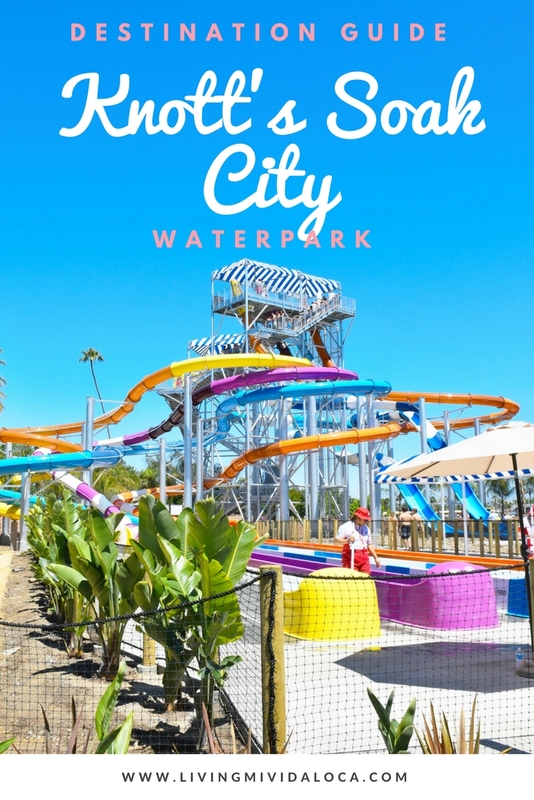 The waterpark debuted seven new slides on two new slide towers, Shore Break and The Wedge, as well as a fully remodeled Longboard’s Grill (their largest dining area), additional seating areas and new spacious cabanas. 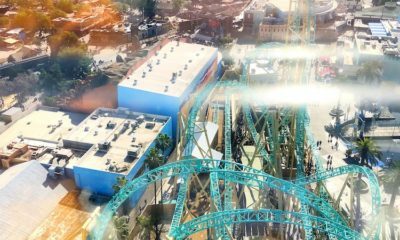 So if you visited Knott’s Soak City last year, you’ll find this year to be a whole new experience. 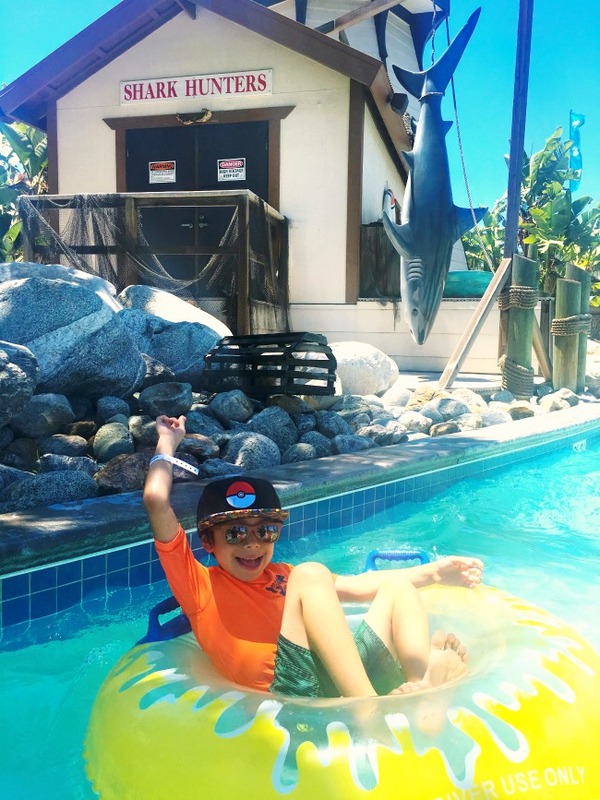 The six year old is 48″ tall so we were able to ride both The Wedge (a great family ride as it accommodates up to six riders) and the tube slides at Shore Break. 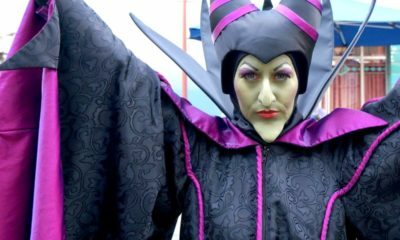 The family ride has a longer wait line, but it’s also a longer ride. We didn’t get a chance to do Shore Break, the one where the floor drops from beneath the rider’s feet sending them on a high speed free fall down a 60-foot tall slide. It sounds crazy… and it was. Just ask the Hubster. 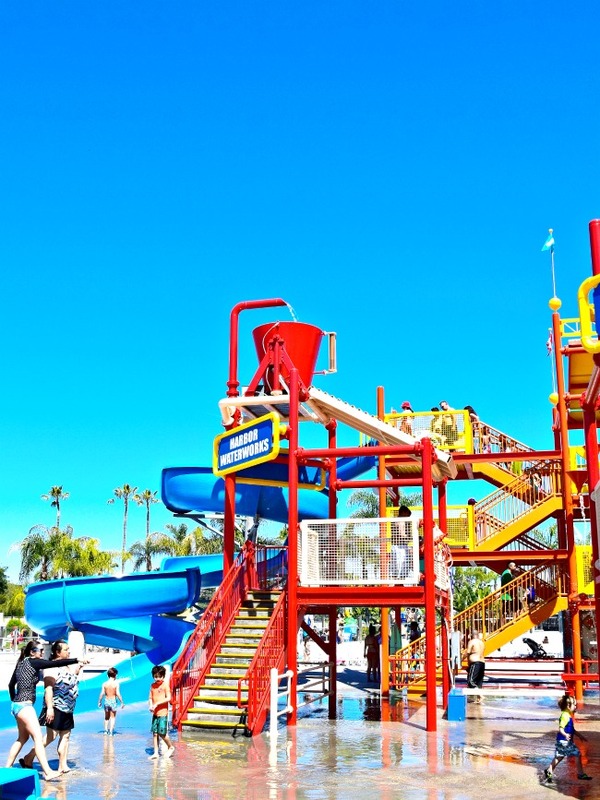 We opted to do the mega slides early in the day so the rest of the day we could do more of the no-lines required fun, like Tidal Wave Bay, the Beach House and the lazy river (did you know that it’s about a third of a mile long?). Of course, we left plenty of time to just chill out and relax under the shaded areas too. Because we arrived early, we were able to get some of the lounge chairs in front of Longboard’s Grill. There’s a lot of seating available as well as cabanas. 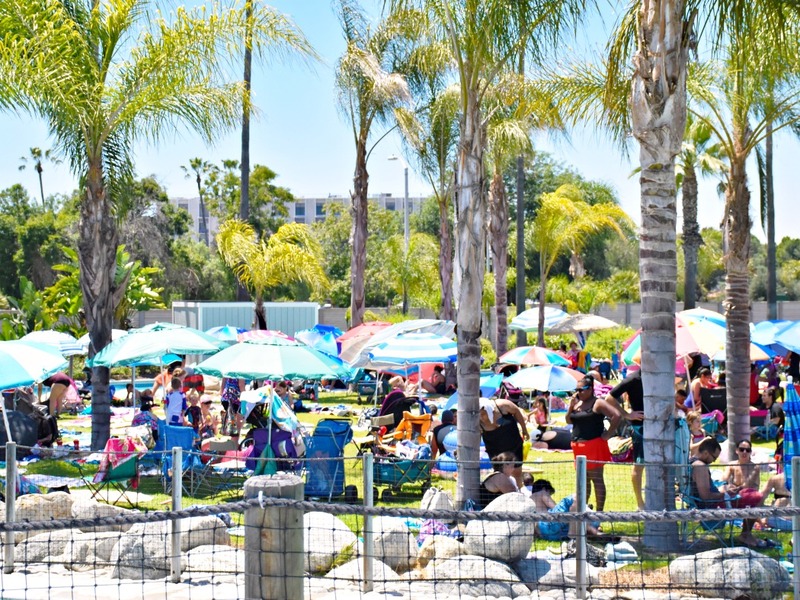 If you’re looking for a more beachy vibe, I would suggest parking it on the grassy areas. Just bring your sport-brella (or other outdoor umbrella). We filled up during lunch at Longboard’s Grill and I was ecstatic to see that they had vegetarian hot dogs. I mean, I’ve never seen this offering at a theme park before, let alone a waterpark! Inside Longboard’s Grill there is a self-serve station where you can top your burgers and hot dogs. I piled mine with jalapeños, tomatoes and onions. It was like a vegetarian Mexican hot dog… and with my side of onion rings? Yuuuum. Our day was so chill that it made me feel like I was in my own piece of paradise. We just lounged around and bonded as a family as we braved the water slides. 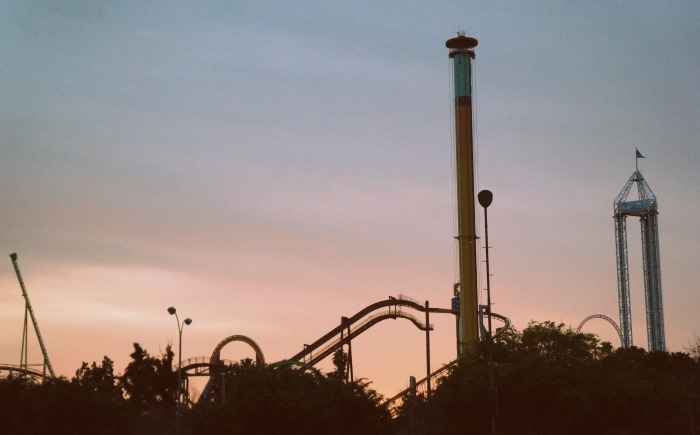 Thank goodness we have Knott’s season passes because I fully plan on making more Soak City days happen this summer. I might even rent a cabana just because it includes a waiter and inner tube rentals. I tend to travel with the least amount of products as possible. So the list below is for the minimalist who wants to enjoy a day at the waterpark without carrying too much stuff. Also for minimalists without babies. Sunscreen – I recommend Neutrogena’s Beach Defense sunscreen because it has SPF 70 and does an amazing job at keeping tan lines at bay. A sport-brella (or other outdoor umbrella) if you want to set up your family in a grassy area. Grassy areas are right outside Longboard’s Grill and around Gremmie Lagoon. Reusable Knott’s Berry Farm souvenir cup – there are three refill stations throughout the park. 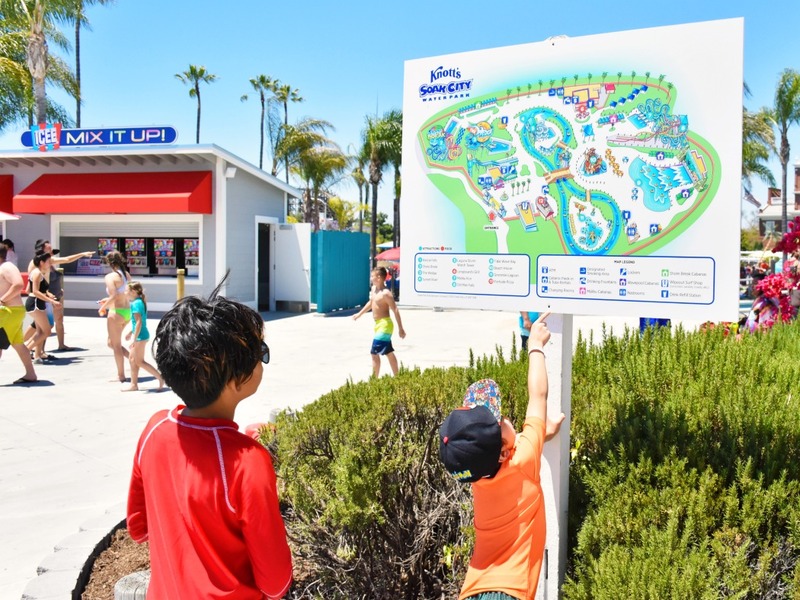 Towels – Knott’s does not have towel service. Bring one for each lounge chair that you want reserved. 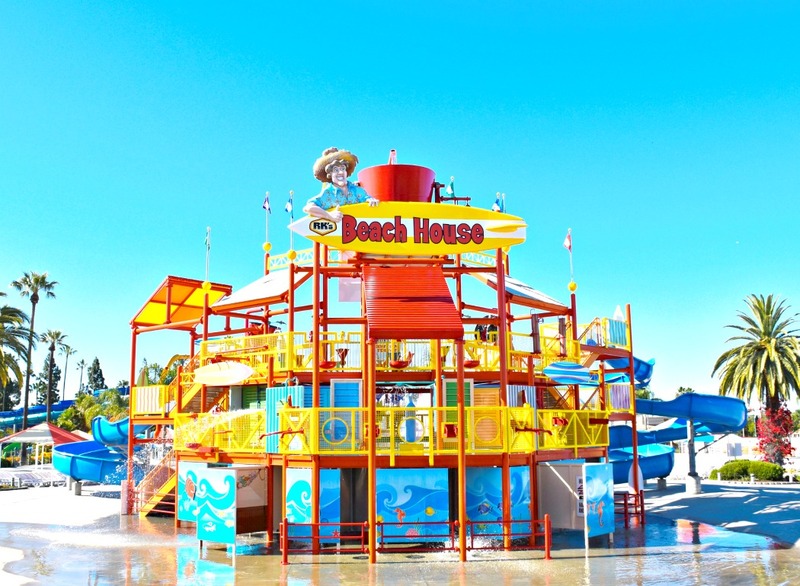 A waterproof phone case and FREE wifi throughout the park will let you stay connected while you’re in line, floating on the lazy river, or just hanging out on a lounge chair. 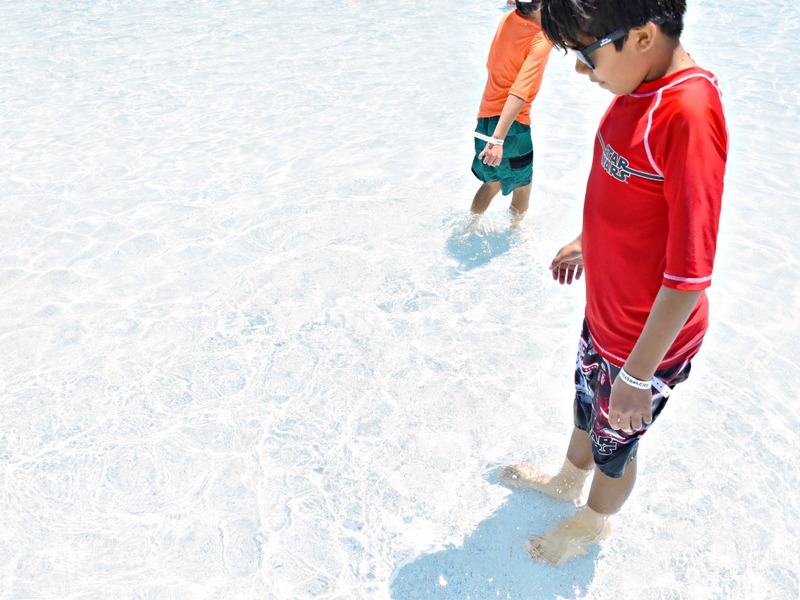 Shoes and sandals are not allowed on rides, but bring them along anyway because the ground is hot – especially on the bridge. Rent an inner tube for $10/day. Inner tube rental is included with cabana rentals as well. 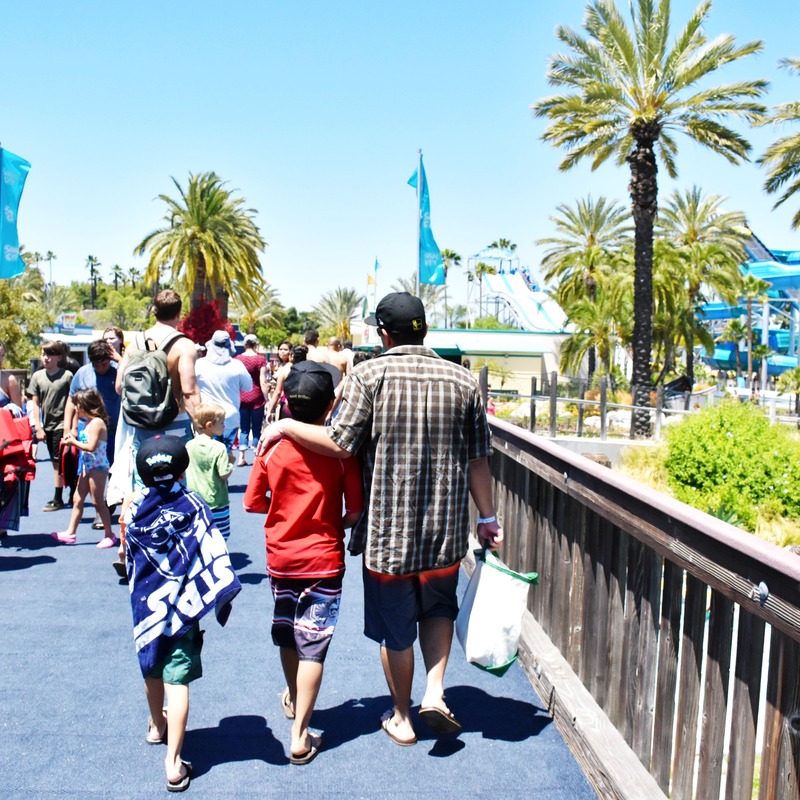 >> MORE: Knott’s Soak City Tips <<There you have it – everything you HAVE to have for a day at the waterpark. 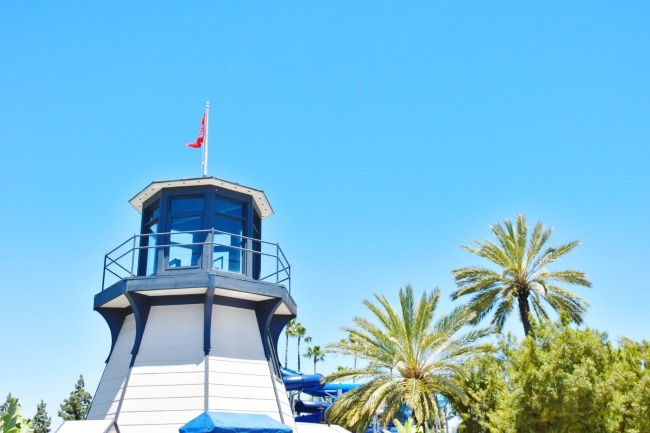 If you like to film your adventures, Knott’s Soak City does allow you to bring along a waterproof camera on the rides (I have a TomTom Bandit action camera and it’s great for these types of water rides) – just leave the selfie sticks at home. Looking for a spot to sit and relax? Then head to Longboard’s Grill. 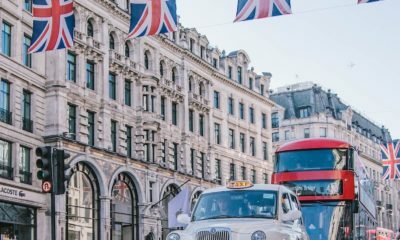 They offer standard picnic food with gluten-free options and vegetarian hot dogs! Ask for them at the counter. Pick up your food cafeteria style and head outside to their tables. They’re not bolted down so feel free to move them around to accommodate larger parties. Closer to the entrance you’ll see smaller dining spots including Portside Pizza and Surf Daddy’s Food Hut. 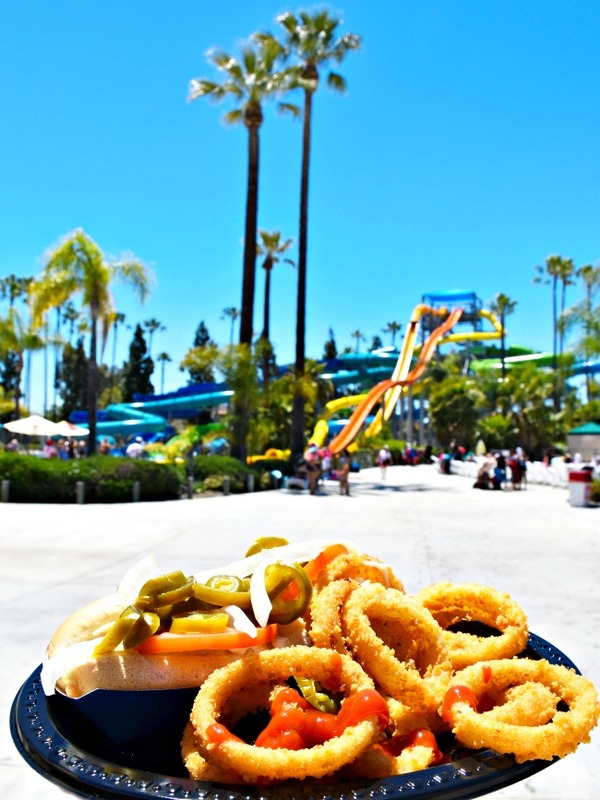 Portside Pizza offers delicious pizza and it’s the only spot at Soak City where you can get a funnel cake. 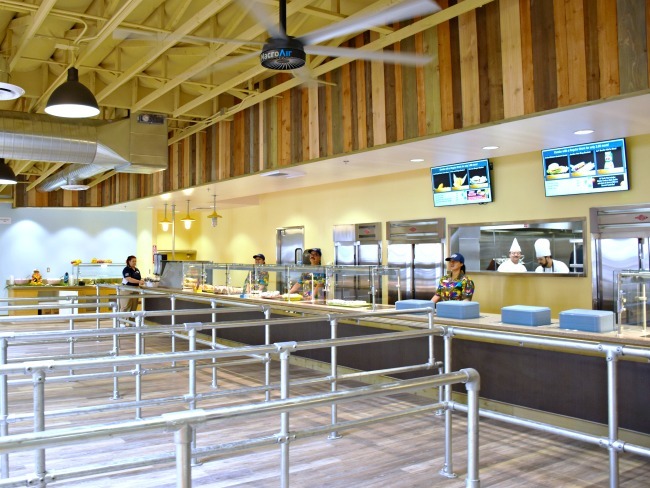 Surf Daddy’s Food Hut offers easy grab and go snacks like pretzels, churros and salads. Want a cold treat? 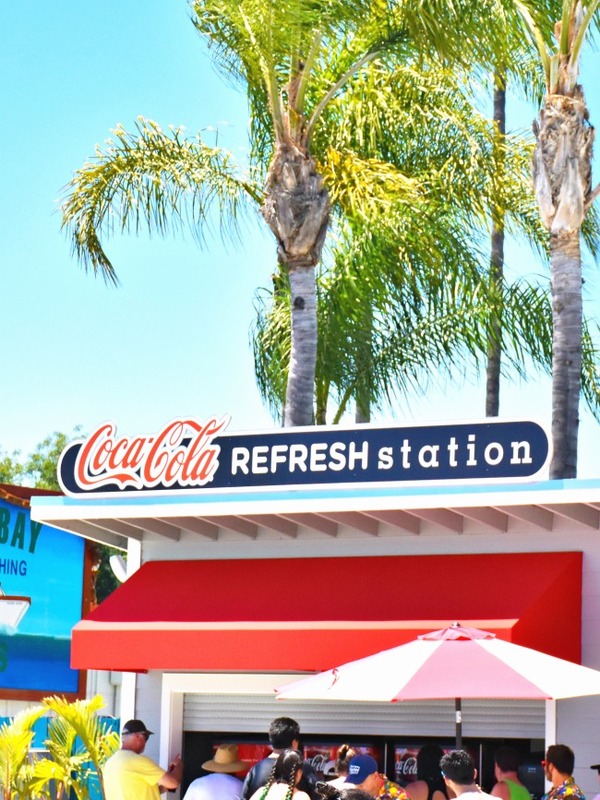 You’ll find a create-your-own ICEE station in front of Tidal Wave Pool – right next to one of three refill stations (don’t forget your refillable souvenir bottles). 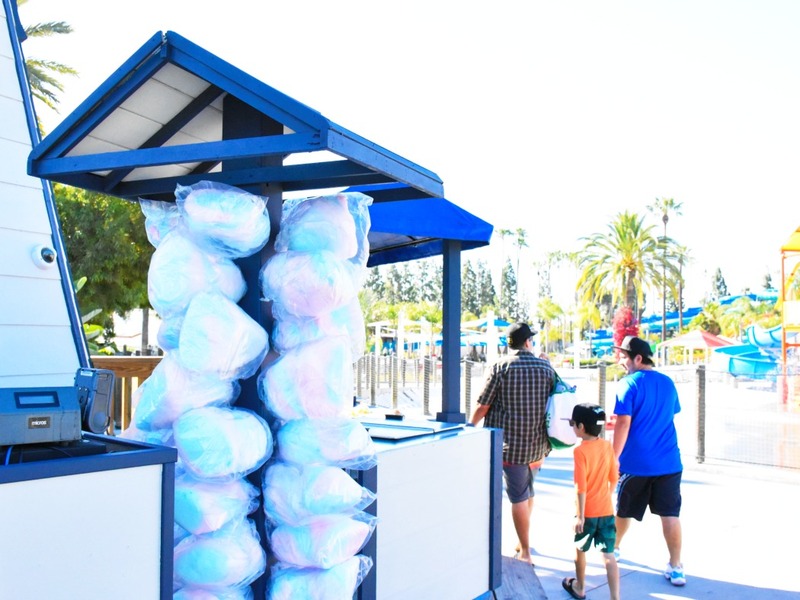 There’s also Dippin’ Dots and cotton candy carts around the park. 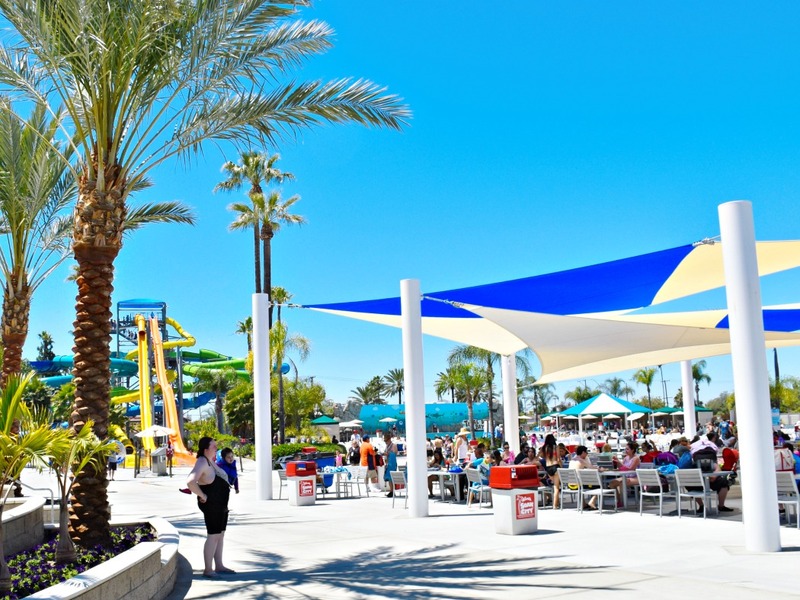 TIP: Gold and Platinum Season Passholders can use their All Season Dining Plans at Knott’s Soak City at all three dining locations (Longboard’s Grill, Portside Pizza and Surf Daddy’s Food Hut). 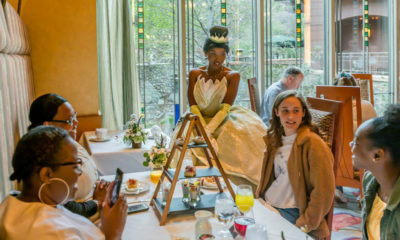 All Day Dining is also available. 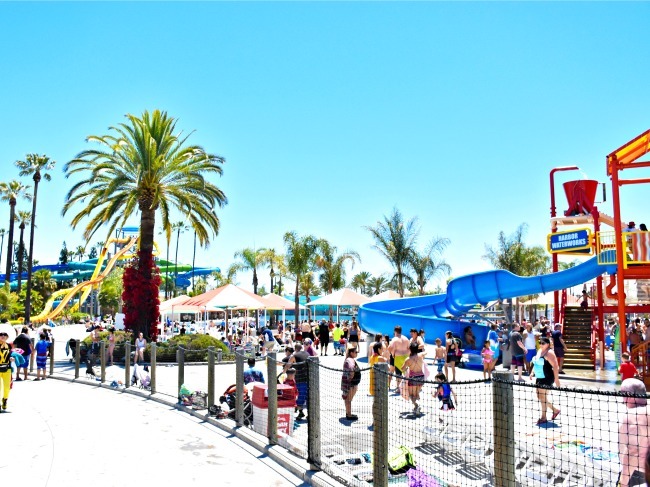 Knott’s Soak City is a 13-acre water park adjacent to Knott’s Theme Park. 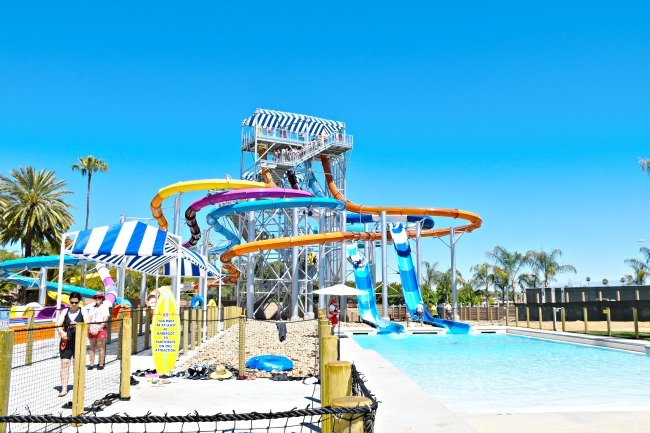 Highlights include 17 tube slides, wave pool and lazy river. 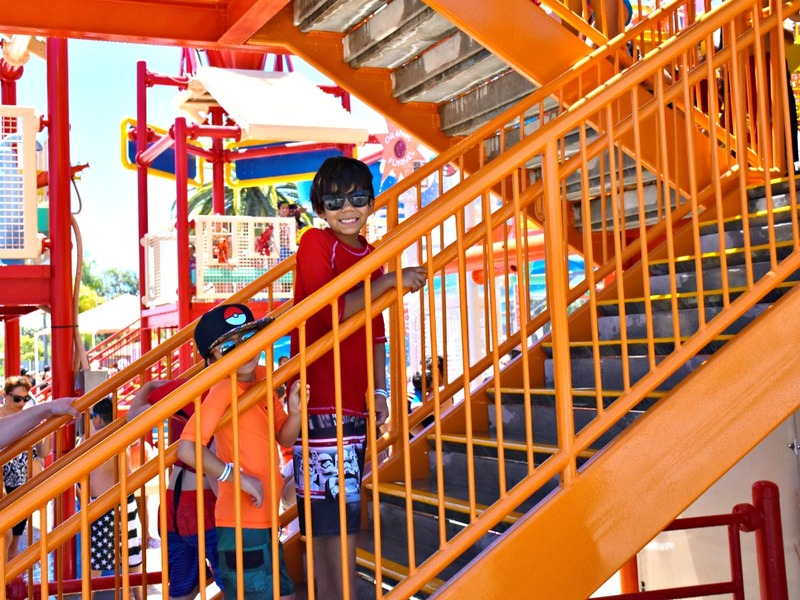 One of guests’ favorites is Pacific Spin, which drops riders into a 75-foot, six-story funnel! Open daily Memorial Day weekend through Labor Day, and weekends in September.